If you are a lawyer or law firm looking to rank higher in Google search reach out to me at jwojdylo@gmail.com. I have monthly SEO packages that can help you get more clients through your website. Google search works tremendously when someone is in a time of need. As soon as tragedy strikes we pick up our phones and Google services or assistance. If your toilet is clogged you will likely Google “plumber in under an hour”. If you have a flat tire you may Google “mobile flat tire repair.” There are very few more desperate or vulnerable individuals than those having to deal with law enforcement and possible jail time. After getting pulled over for a DUI or DWI most people know they need to hire a lawyer but most do not know one personally. Where do these individuals go to find the best DUI or DWI lawyer in their area? Google, of course. If your law firm is #1 for Portland DUI Lawyer there is a good chance your phones are ringing every single day. If your law firm is on page two or page three for this keyword phrase you may struggle to get clients. The only way to turn that around is to outrank your competition. There are a few ways to outrank the competition but remember each part of the country is different. Here are a few things that will help your firm rank higher in Google search. Every state has unique laws when it comes to DUI, DWI and DUII. Some counties have different diversion or dismissal programs available to those that have been given a DUI ticket. 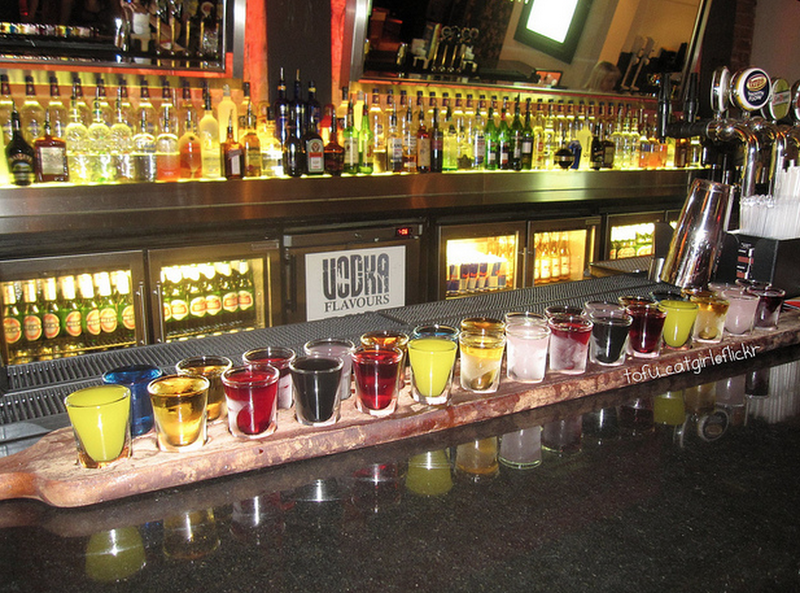 It does not take long to find plenty of great content related to drunk driving. The tough part is having the content published to your legal website on a consistent basis. Every Google algorithm update shows preferential treatment to websites that are updated multiple times a week and preferably multiple times a day. As a DUI lawyer you do not have the time to sit and update your website every single day. It is a wise decision to hire a team or an individual that can help you with this content. There are plenty of great copywriters that can assist your law firm. You may even have a paralegal that has the skills to do some SEO Copywriting for your legal website. If you need assistance with this creative legal content feel free to reach out to me as I have a team of copywriters that can help you publish content on a consistent basis. If you want to blow you competition out of the water just publish a ton of great content. Please be aware of the fact that this needs to be unique content. Copying and pasting content off another legal website is not wise. It is worth it to pay a premium for content you know is 100% unique and valuable to your website. Every extra word you publish beyond your competition is only going to set you ahead in the eyes of Google. The foundation of the Google algorithm was links. While they are not as big of a part of the algorithm today they are still extremely important. Without links it is nearly impossible for a DUI or DWI lawyer to rank for “money” keywords. It is important to note these links must be natural. There is no way a DUI website is going to have 500 links pointing back to it in a matter of months. It is much more realistic that it has a handful of quality links pointing back to it on a monthly or quarterly basis. Building relationships with other legal professionals and creating valuable guest resources is a fantastic way to improve a link portfolio. This must be done correctly. If you do it incorrectly you could find that you over optimize your content and your page could be hit with a penalty after a future Google algorithm update. If you want to better understand how to build a clean link portfolio please feel free to reach out to me at jwojdylo@gmail.com. I have helped many legal professionals create relationships with other webmasters and lawyers throughout the country. And your web presence won’t be either. Realize that it takes time to build a powerful legal website. Building the foundation is extremely important. You would not want to build your dream home on a shaky foundation that was poured yesterday. You would want the foundation to harden before putting up the walls. If you are committed to getting DUI and DWI clients through a web presence give yourself several months to lay the foundation. With the proper SEO and copywriting team you can start to get cases within a few months but don’t expect to be dominating search in two or three weeks. 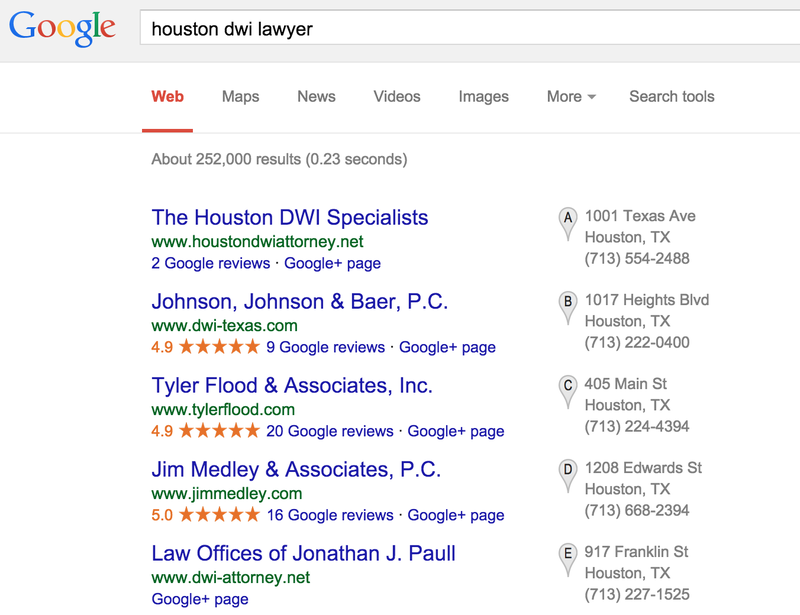 If you would like to improve your Google search ranking for local DUI and DWI search terms contact me today. I would love to discuss how I can help you get more business through search.